Great insights on how important customer centricity is in todays marketing strategy. The following article speaks to 15 stats about customer centricity and how they can affect your business. 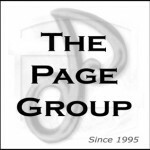 The Page Group has always felt that to understand and focus on those things that the consumer connects with about the brand is central to developing a strategy to fulfill those needs, and by doing so you build a stronger loyalty with those consumers. Customer Centricity is a philosophy that we adhere to as we look to develop programs that truly work and deliver a consumer experience that is world class. POLL: What’s the biggest hurdle holding your organization back from true customer centricity? No one owns customer centricity within my organization. Our organizational structure is holding us back. The various business units still operate in silos. We’ve got a shortage of talent to conduct data integration and derive customer insights. 8. Marketers recognize data’s role in customer centricity and are taking action to improve their data hygiene: Marketers are 53% more likely to execute data hygiene techniques than they were in 2013. Retailers are 13% less likely to undertake some form of data-hygiene process than nonretailers. However, when they do prioritize data hygiene, retailers are 38% more likely to use a data-hygiene provider than nonretail brands. 11. For most marketers, customer centricity is an aspirational goal but not yet a reality. Here’s why: 70% have suboptimal or no ability to integrate customer data between online and offline sources; 80% don’t apply customer value scores; and, 74% can’t recognize customers in real time.